"Being a warrior won't make you a great man. Being a great man means living without chains." Vertical Entertainment has debuted an official trailer for an animated movie titled Bilal: A New Breed of Hero, which premiered back in 2015 and 2016 at film festivals but is just getting a theatrical release in the US in February of 2018, this year. Long delay, but this received some positive reviews so maybe it's worth the wait. 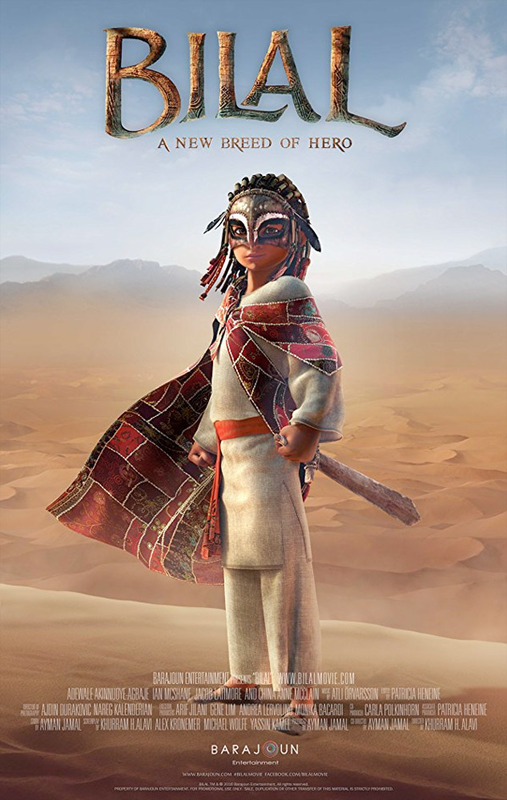 The film comes from the Middle East and is made by animation studio Barajoun Entertainment, telling the story of a boy with a dream of becoming a great warrior who is abducted into slavery. The voice cast for the English-language version of the movie includes Adewale Akinnuoye-Agbaje, Ian McShane, Jacob Latimore, China Anne McClain, Cynthia Kaye McWilliams, and Michael Gross. This looks like an entertaining animated adventure, telling a story that we don't normally see on this side of the world. Enjoy. A thousand years ago, one boy with a dream of becoming a great warrior is abducted with his sister and taken to a land far away from home. Thrown into a world where greed and injustice rule all, Bilal finds the courage to raise his voice and make a change. Inspired by true events, this is a story of a real hero who earned his remembrance in time and history. Bilal: A New Breed of Hero is co-directed by filmmakers Khurram H. Alavi & Ayman Jamal, the latter of which is the founder and managing partner of Barajoun Entertainment, a leading animation and visual effects studio. The screenplay is written by Ayman Jamal & Alexander Kronemer & Michael Wolfe & Khurram H. Alavi & Yassin Kamel; from a story by Ayman Jamal. This first premiered in 2015 at the Dubai Film Festival and also played at the Annecy Film Festival in 2016. Bilal: A New Breed of Hero opens in select US theaters starting February 2nd, 2018 this winter. Curious?